Wait what! 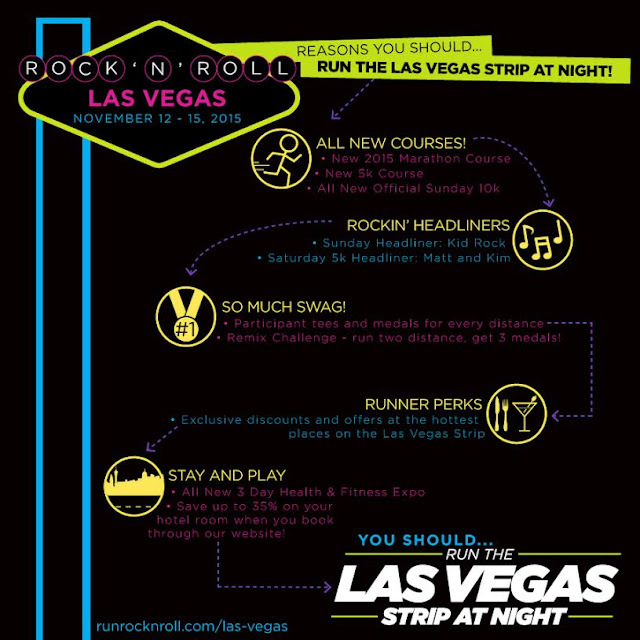 Rock n Roll Marathon Series just released a discount code for the Rock n Roll Las Vegas Half Marathon and Full Marathon and I have a code for you! 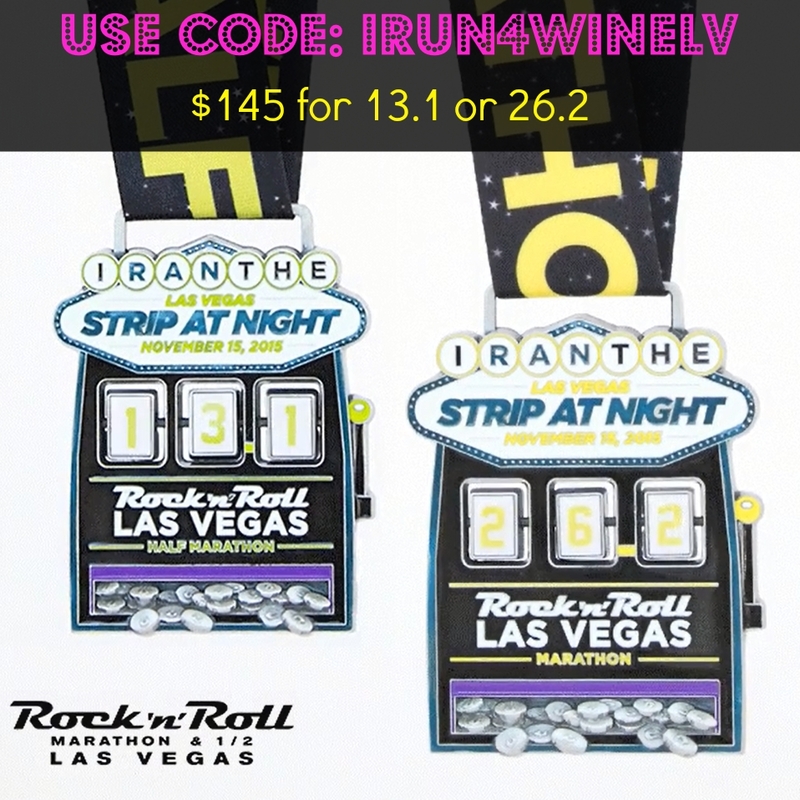 Use discount code Irun4WineLV for an exclusive offer on the Las Vegas Strip at Night: $145 to run the marathon or 1/2 marathon!! That's a $15 savings friends! This is the first time a discount code has been offered for this event so if you were ever on the fence about signing up, now is the time. All races will sell out in this series. 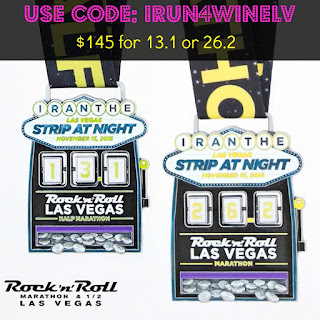 The Rock and Roll Half Marathon and Full Marathon medal's are amazing. They are slot machines which rotate the distance as a jackpot. Click here to register for Rock n Roll Las Vegas and I may see you there!